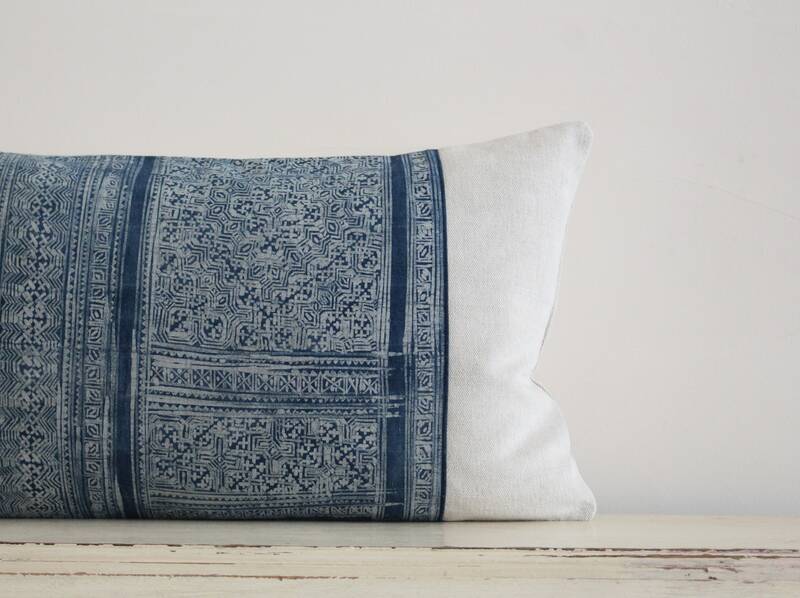 Vintage Hmong indigo batik pillow / cushion cover 12" x 20"
This cushion cover has been made with a panel of vintage Hmong fabric. 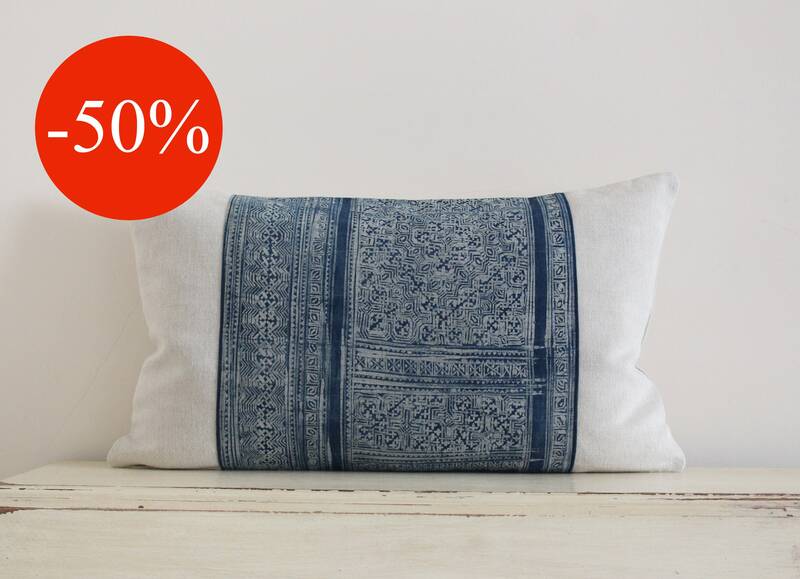 The indigo pattern has been hand drawn on cotton fabric using a traditional batik method. 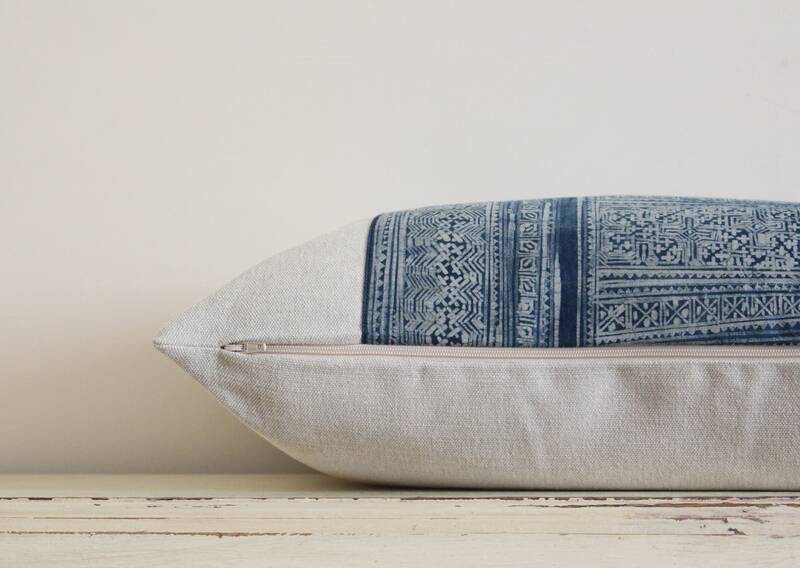 The sides and back are plain cream 55% linen and 45% cotton and the cushion closes with a zip at the bottom. 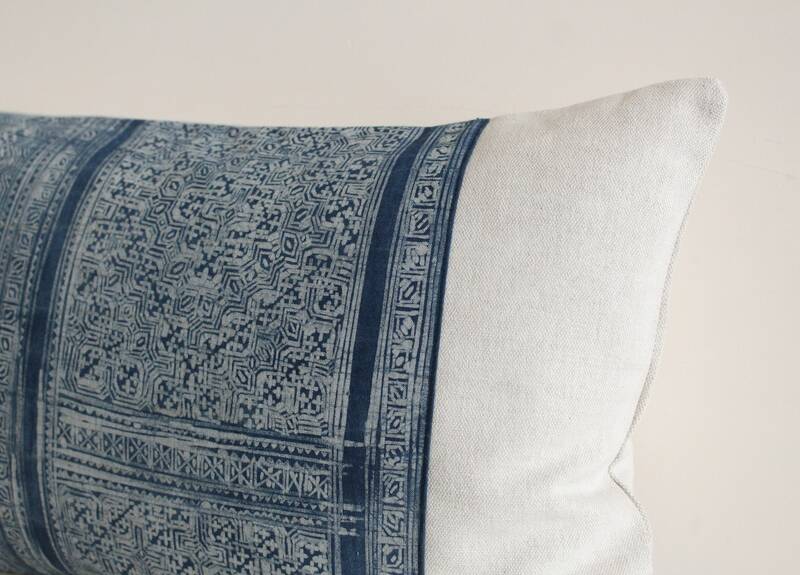 Between the panels on the front there is a subtle top stitch detail. 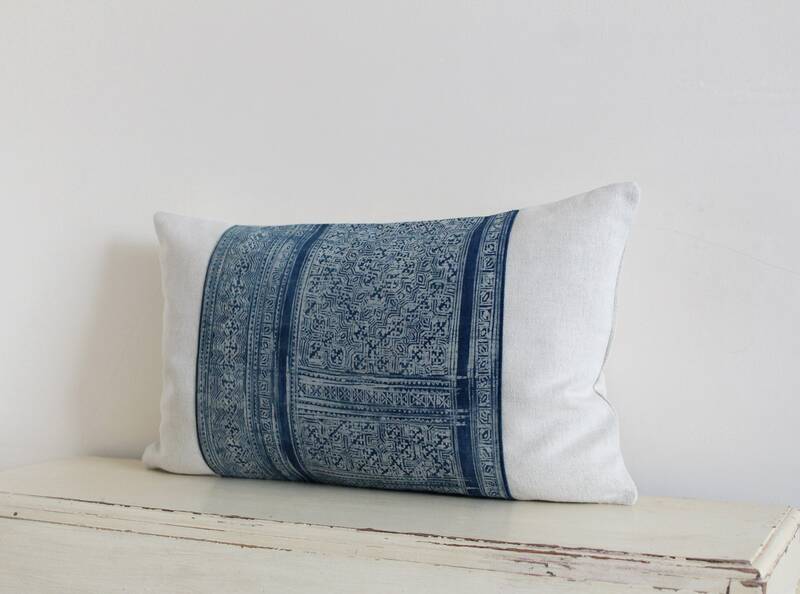 *Dimensions: approx 11" x 19"
*I recommend insuring that the cushion insert is 1-2 inches bigger than the cover size. The photos above show the cover with a 12''x 20'' feather insert.